A professional, classically-trained piano teacher in Roswell, GA who offers piano lessons in the convenience of your own home. I am a classically trained piano teacher in the Atlanta area whose passion is to teach ordinary kids and adults to do something extraordinary with music. The musical success of my students drives my passion for excellence. I am always aspiring to engage our musical culture with a fresh approach to mastering the piano. 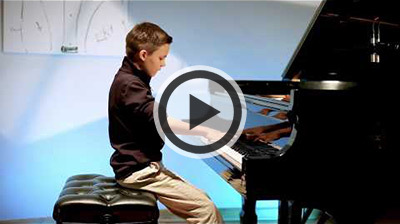 Every student is unique, so it takes experience and knowledge to not only be able to help piano students develop a well-rounded musical foundation, but also to connect with each unique student in an individualized way. I maintain a full-time, active piano studio in the Roswell GA area, travelling to each student’s homes. I offer fun, engaging piano lessons to students of all ages and levels. 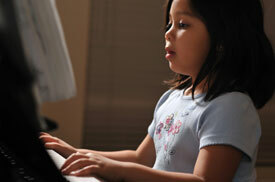 Many of my students are homeschoolers and adults who take piano lessons in the morning and early afternoon. All my students have the opportunity to perform in CMTA (Cherokee Music Teachers Association) and GMTA (Georgia Music Teachers Association) sponsored events among other recitals and venues in the Atlanta area. I welcome all enthusiastic students who are eager and ready to learn, grow, thrive and love music. One thing that distinguishes me from many other teachers is the fact that I offer the convenience of in-home piano lessons. No driving, no hassle, no "Atlanta" traffic, no wasting time in busy music stores. As a parent, you are able to do the things you want to at home while your child is having the piano lesson. For an adult piano student, driving is one less thing thing you have to think about. If you live in Roswell/East Cobb area and are looking for a dependable, time-tested piano teacher to travel to your house, give me a call or me. I’d love the chance to meet with you and discuss your musical goals. Serving Roswell, East Cobb County, North Fulton County.